During World War II, "Tooey" Spaatz directed tactical air operations in the North African and Sicilian campaigns, took over U.S. strategic air forces in Europe until the German surrender, then directed the final strategic bombing of Japan. In 1947, he became the first chief of staff of the newly independent Air Force. 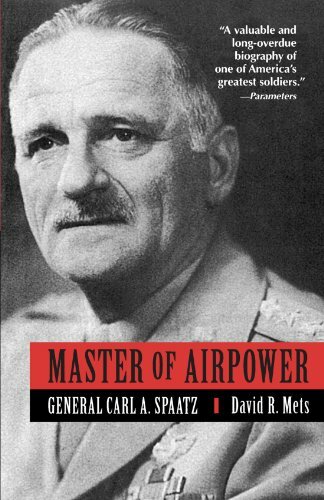 A quiet, unpretentious man, Spaatz was not a colorful figure but he was a first-class military leader and organizer.